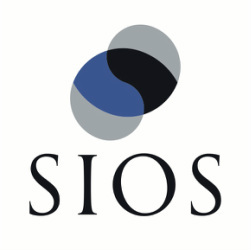 SIOS' innovative high availability and data protection software solutions for Linux and Windows deliver superior RTO and RPO at a lower cost of ownership, whether they are deployed on physical machines or in virtualized or cloud environments. SIOS products (SteelEye Protection Suites and SteelEye DataKeeper) are easy to implement, easy to use, and easy to manage — eliminating the complexity and capital expenditures associated with traditional high availability and disaster recovery approaches. This makes them ideal for quickly extending protection to new and existing enterprise applications, systems and databases migrating from UNIX to Linux, managed SaaS applications, and projects that must satisfy stringent SLAs and regulatory requirements. Click here to view the SIOS website in a new window.